The American War Memorial is a World War I memorial. It was built for the American Battle Monuments Commission in 1933, and incorporated into the Line Wall Curtain. 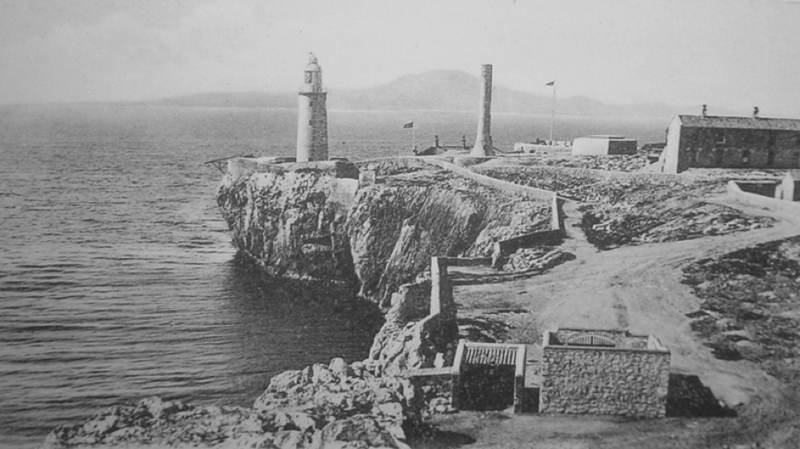 It commemorated the successful alliance of the United States and the United Kingdom in their naval exploits in the vicinity of Gibraltar during the Great War. 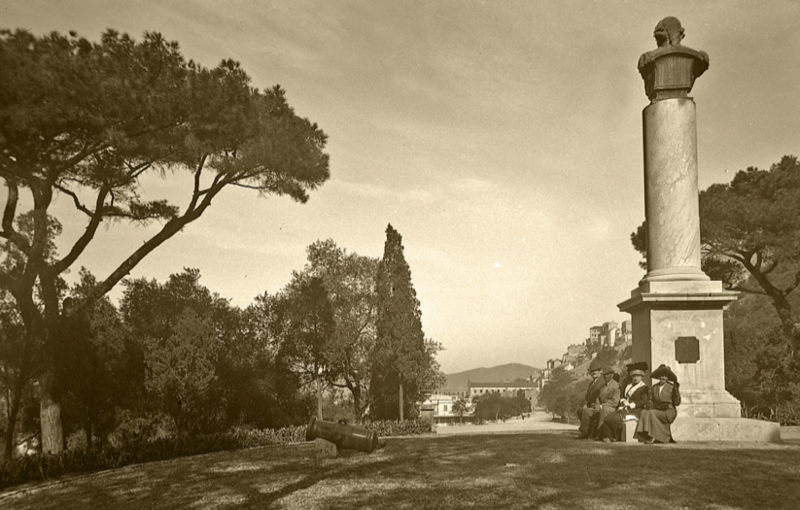 The monument was inaugurated in 1937. 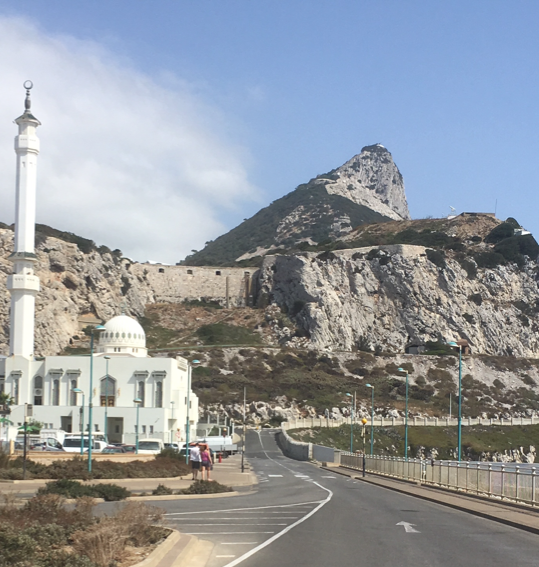 Sixty-one years later, in November 1998, the monument was the site of another unveiling ceremony, that of a bronze plaque which commemorated the World War II Allied invasion of North Africa, Operation Torch. That unveiling ceremony was one of a number of events that weekend whose guests included dignitaries from the United Kingdom and the United States. 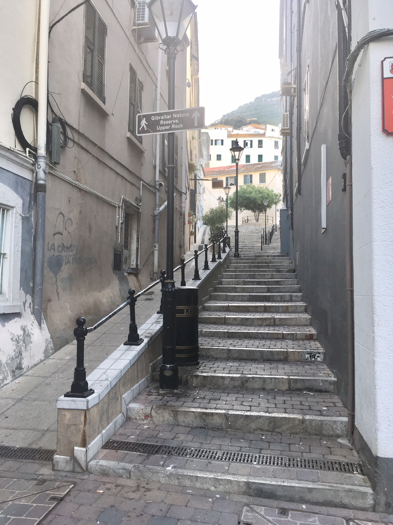 Bishop Rapallo’s Ramp, (formally Church Lane), is a pedestrianised street next to the Cathedral of St. Mary the Crowned, Church Lane was renamed Bishop Rapallo’s Ramp, after Edward Rapallo who was the third Gibraltarian born Roman Catholic Bishop of Gibraltar. 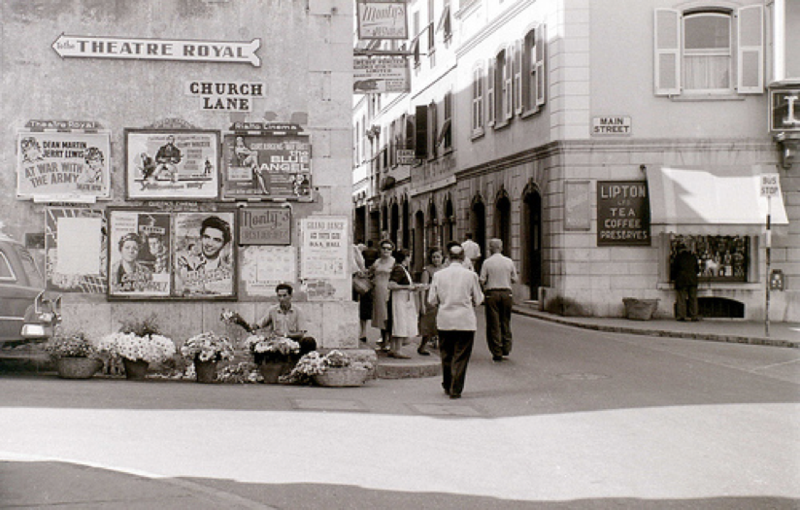 Bishop Rapallo died suddenly in Gibraltar on 6th February 1984. 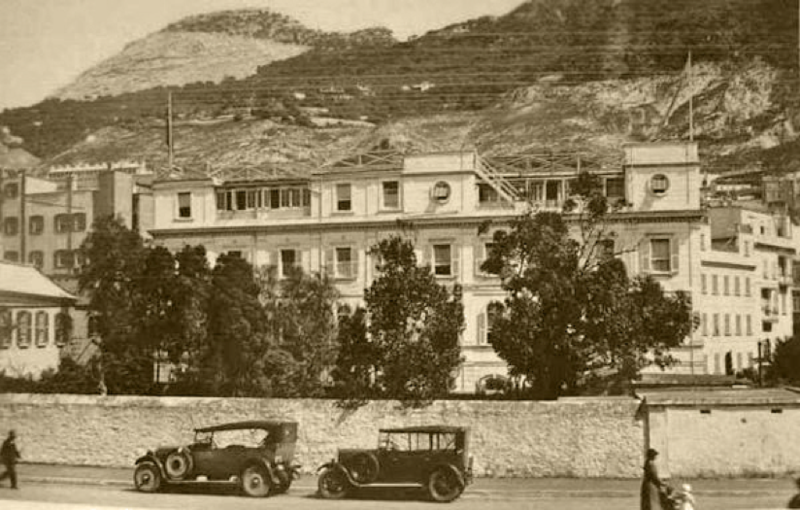 The Bristol Hotel is Gibraltar’s oldest hotel, being established in 1894. 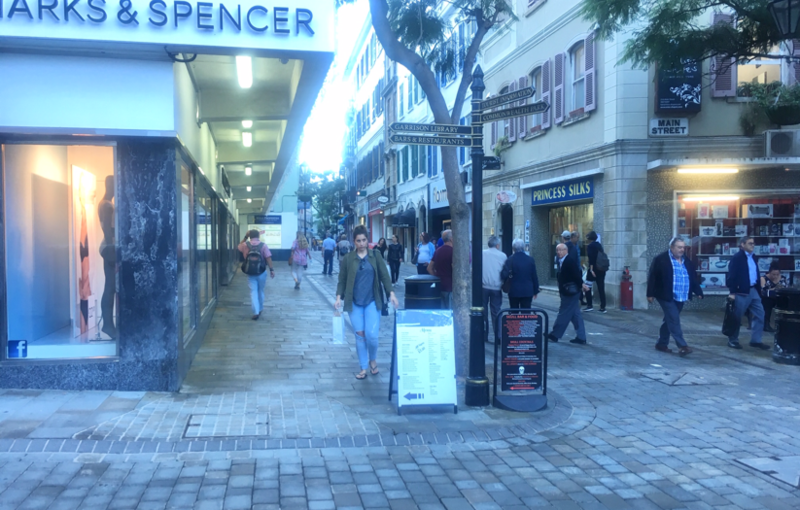 It is located on Cathedral Square in Gibraltar, next to the Church of England Cathedral. During World War II, it served as the headquarters of the Royal Air Force and of a squadron of British flying boats and served as a temporary residence for British officers in transit. 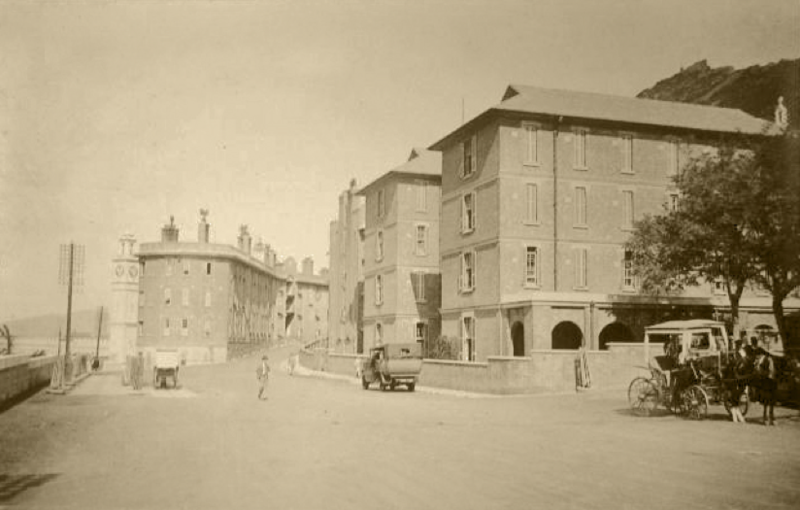 It is one of many European hotels named Bristol, after the extensive travels of the wealthy Frederick Hervey, 4th Earl of Bristol. 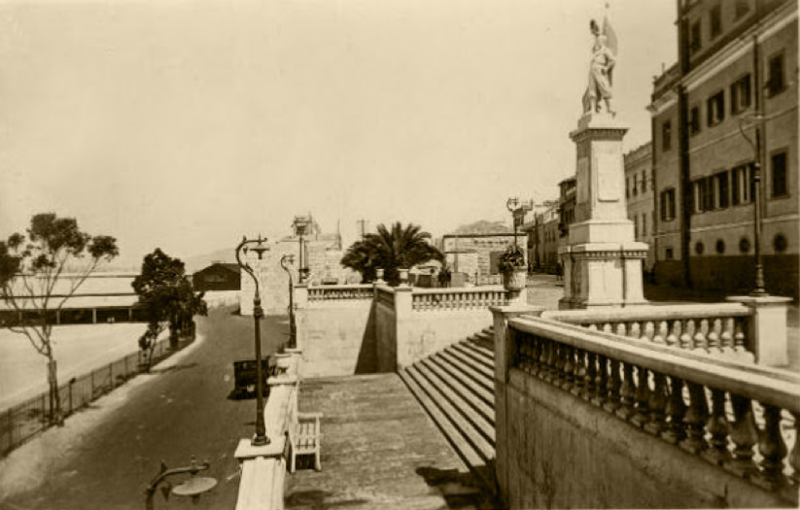 The promenade and steps where the Memorial is located were built in 1921 during the Governorship of Sir Horace Lockwood Smith Dorrien. 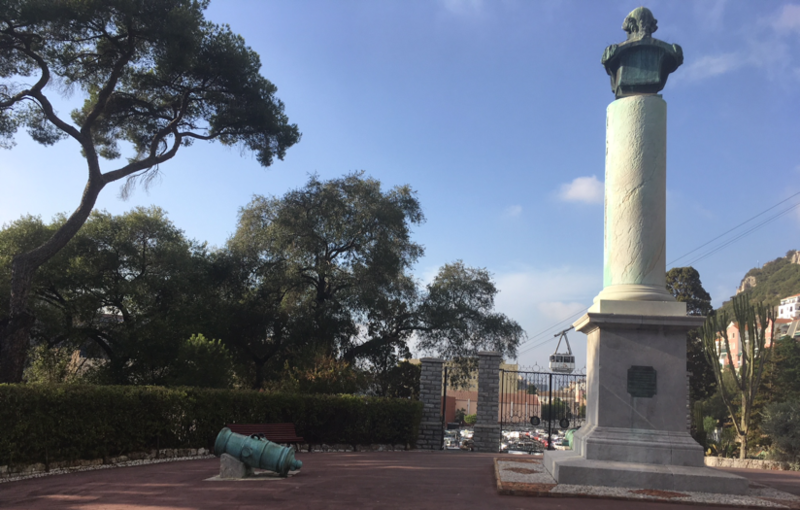 Adjacent to the monument on the esplanade built in 1921 are several memorial tablets, as well as two Russian guns from the Crimean War. 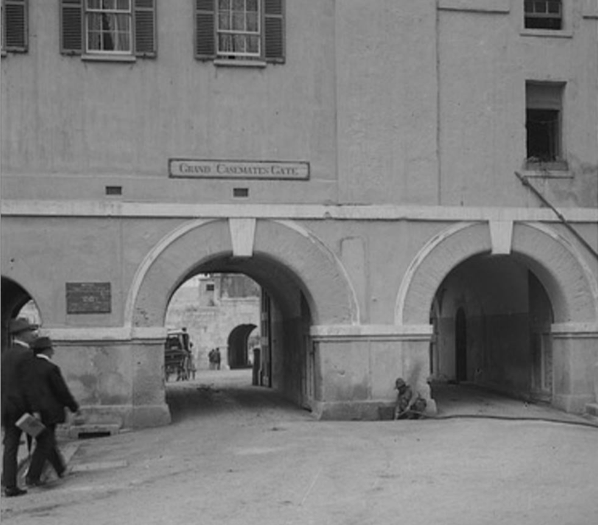 1881 – Casemates – Waterport Gate – early 20th cent. 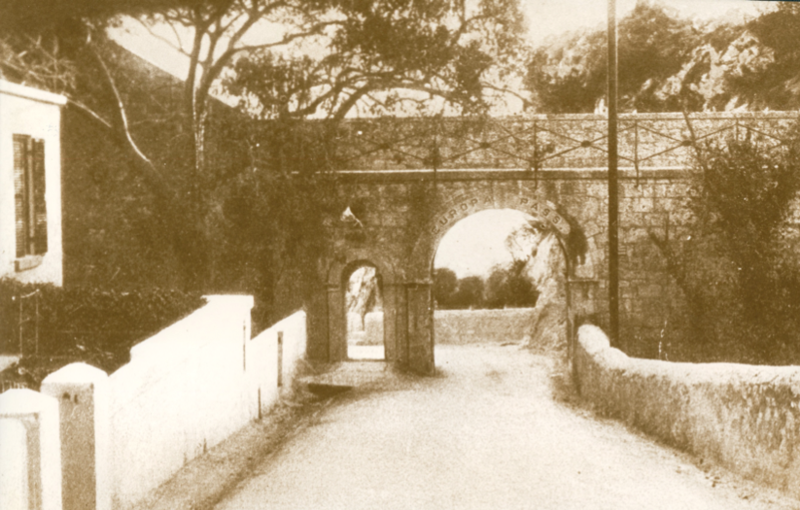 The Waterport Gate which provided access to the town through the Line Wall from the shore south of North Bastion, was opened by the British in 1727. 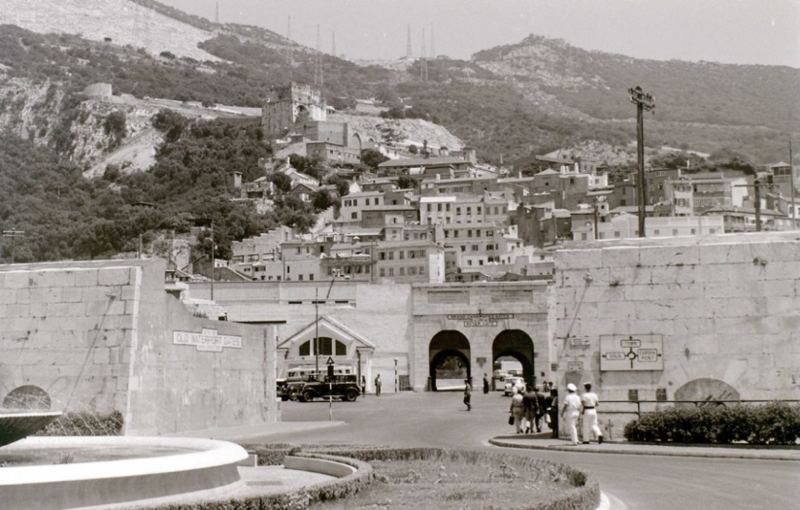 It was the main entrance to Gibraltar in the early days of British occupation. 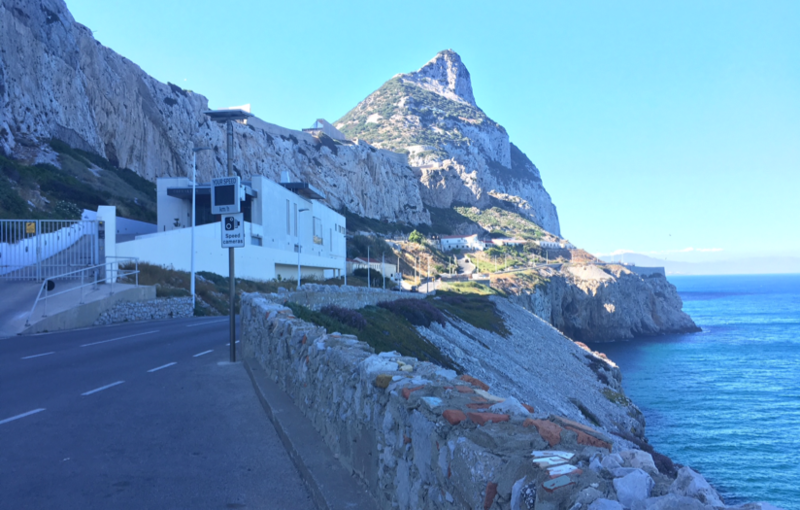 The northern approaches to the town were defended by a Moorish Castle on the slopes of The Rock, from which walls ran down to the shore of the Bay of Gibraltar. 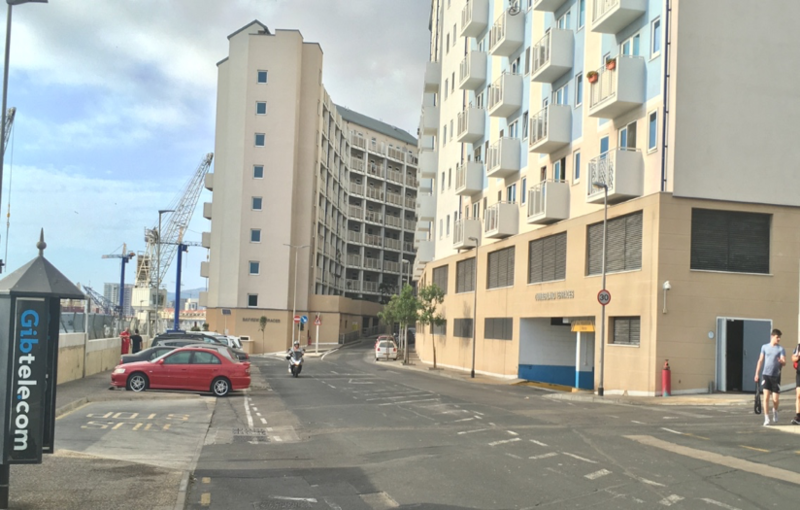 Around 1310 Ferdinand IV ordered the Giralda Tower to be built on the coast at the west end of the wall to protect the dockyard. The Moors built a line wall, running south from the tower along the bay’s western shore, which the Spanish later improved. The Giralda Tower was converted into the North Bastion by the Italian engineer Giovan Giacomo Paleari Fratino in the 1560s. 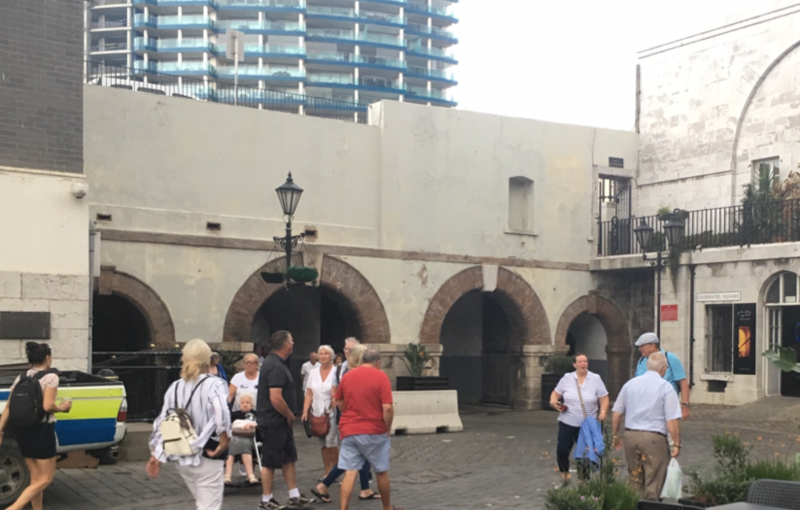 The esplanade just south of the tower is now Grand Casemates Square. It was a walled area where the Moors built their galleys. 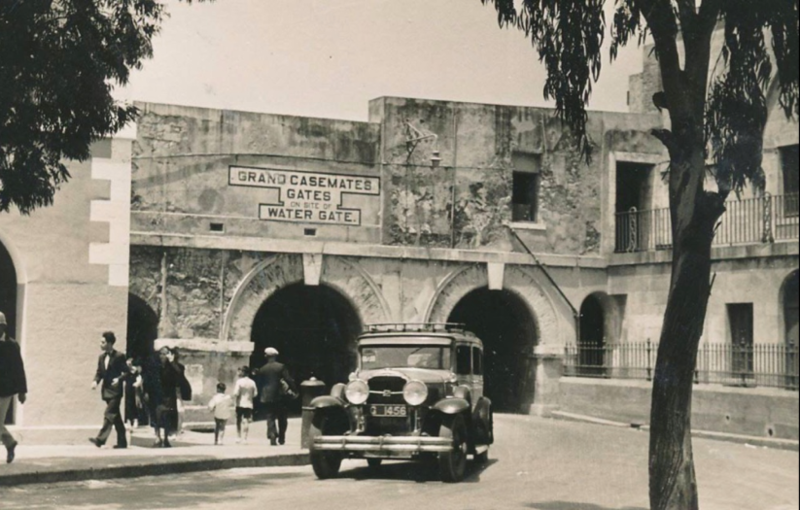 These were launched through a large arch in the line wall just north of today’s Grand Casemates Gates, leading to the Waterport. 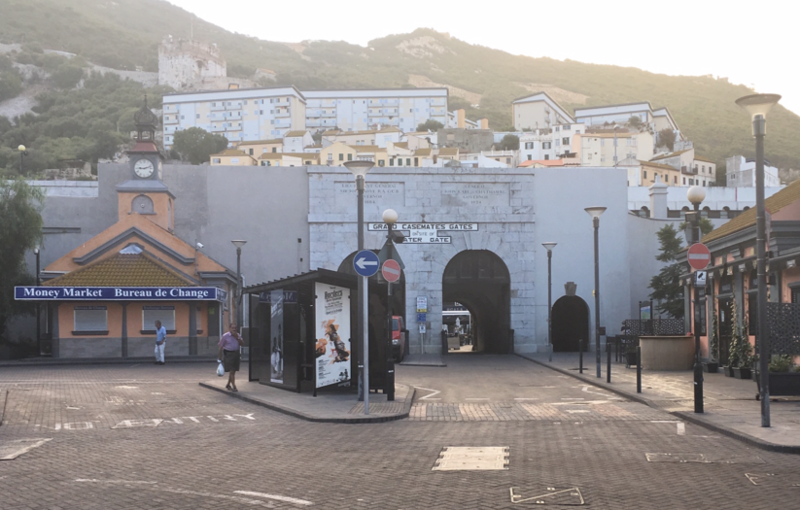 The Moorish Sea Gate (Spanish: Puerta del Mar) provided one of the three access gates to La Barcina, the shipbuilding area that is now Grand Casemates Square. 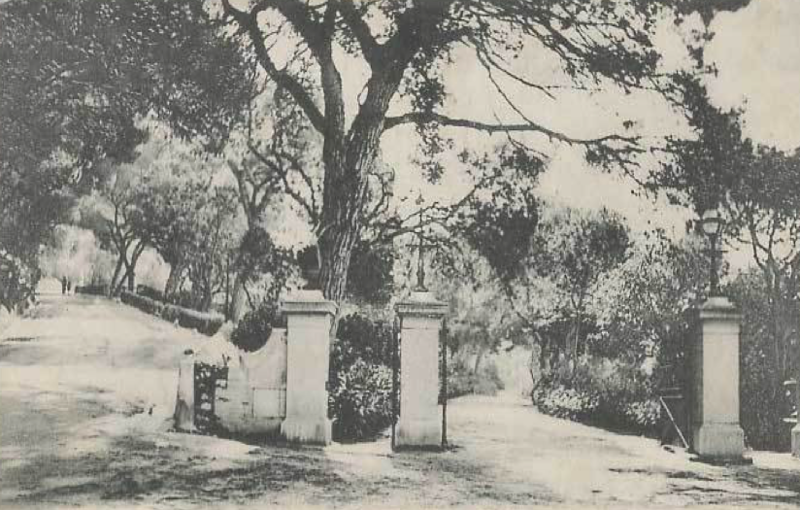 The others were the Land Gate (Spanish: Puerta de Tierra now Landport Gate) and a southern gate, the Barcina Gate, through a wall that no longer exists. The Old Mole extending into the bay from a point just south of the tower provided shelter for trading vessels. The mole provided an anchoring line for the galleys. 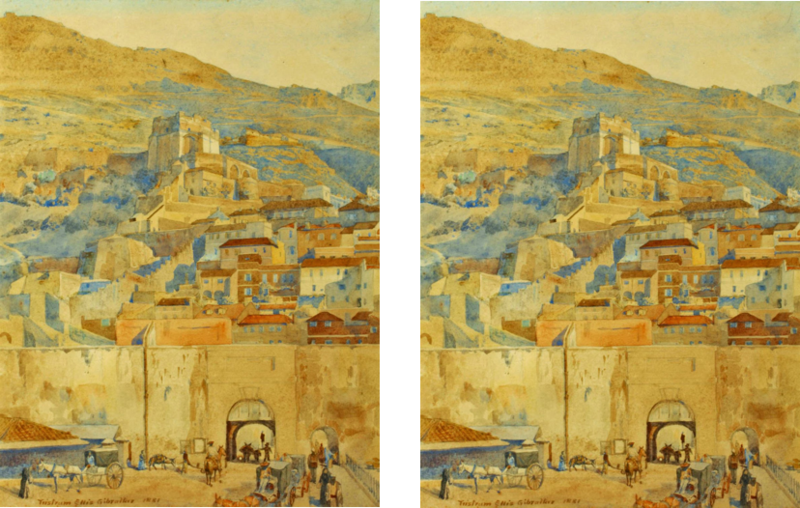 An aqueduct ran from a well to the south along the line wall to the Waterport, where it replenished a reservoir from which water for the galleys was drawn. 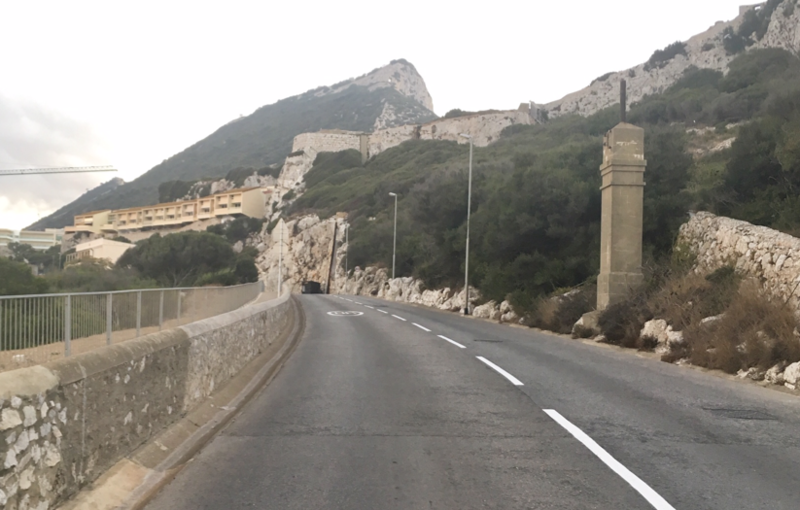 After the British took over in the early 18th century they made extensive improvements to the defences. The whole of the line wall defences were improved upon by a succession of British engineers such as William Skinner, William Green and James Montresor. 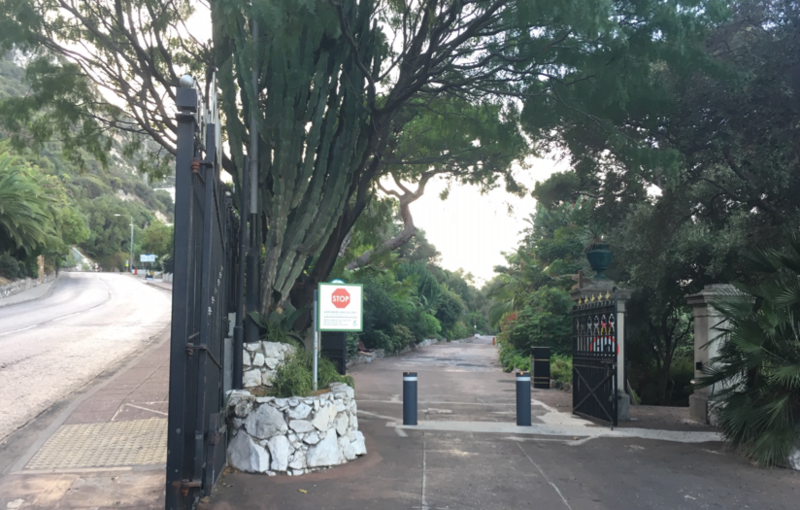 Although maps suggest that various external changes to the single gate may have been carried out over the years, its actual position seems to have remained unchanged. 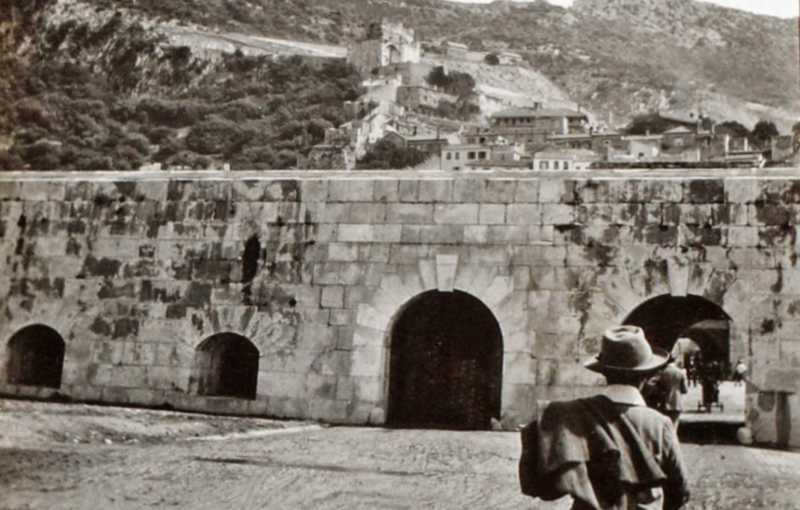 In 1823 British engineers built a new defensive wall. Orange Counterguard, later known as Chatham’s Counterguard, lay just in front of the older curtain wall with the wharf and the Bay to its west. 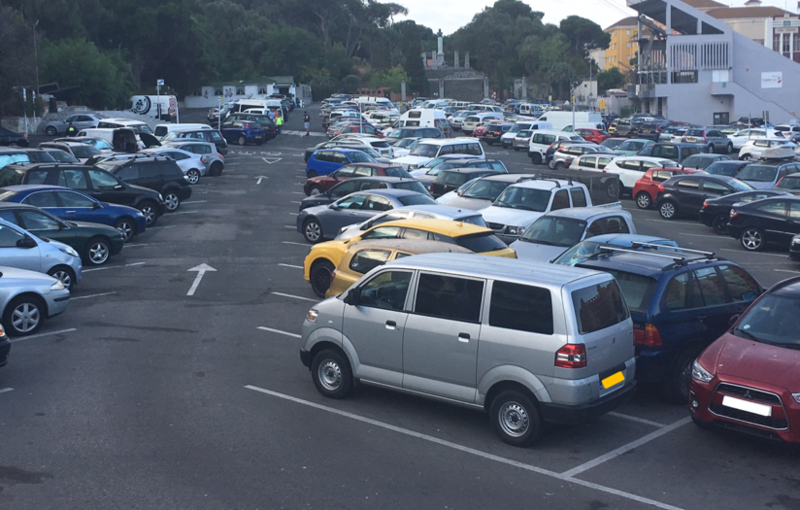 Due to the rapid increase in tourism and commerce and the advent of cars, both sets of gates were finding it difficult to cope. 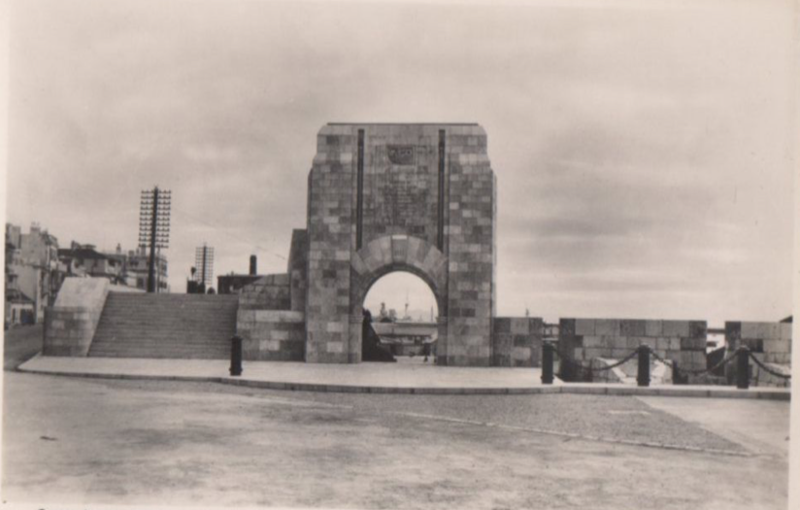 In 1927, the three Waterport gates, as well as those sections of Chatham’s Counterguard which stood on either side of them were demolished . 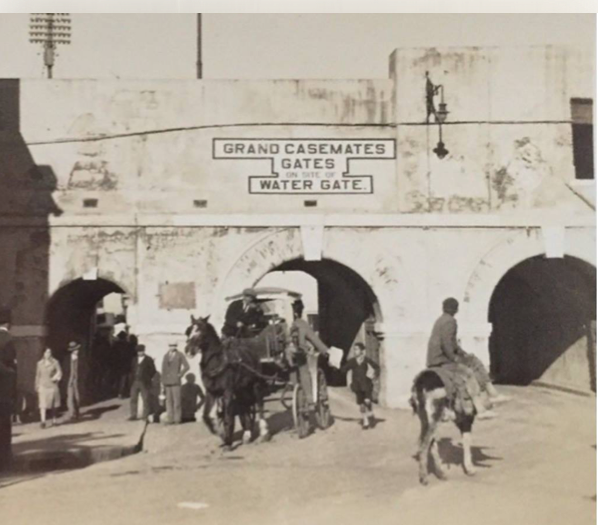 Grand Casemates Gates, (formerly Waterport Gate), provide an entrance from the northwest to the old, fortified portion of the city. 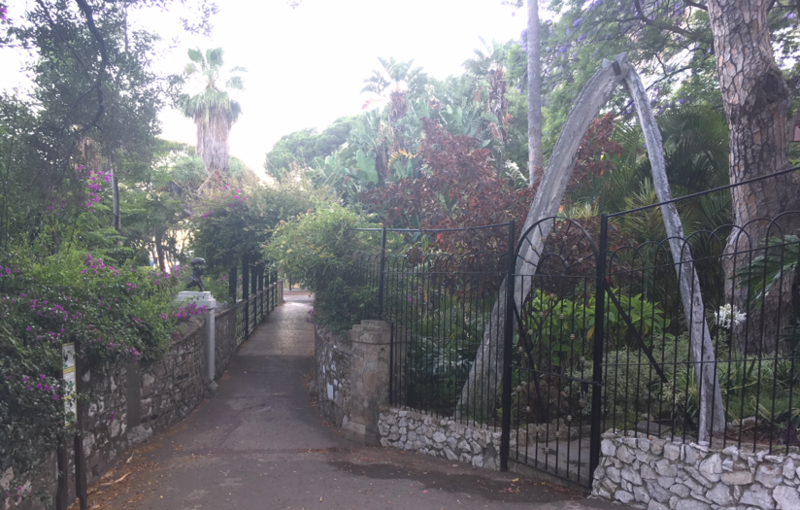 In 1824 John Pitt, Earl of Chatham and Governor of Gibraltar, (1820 – 1835) had the original gate widened. 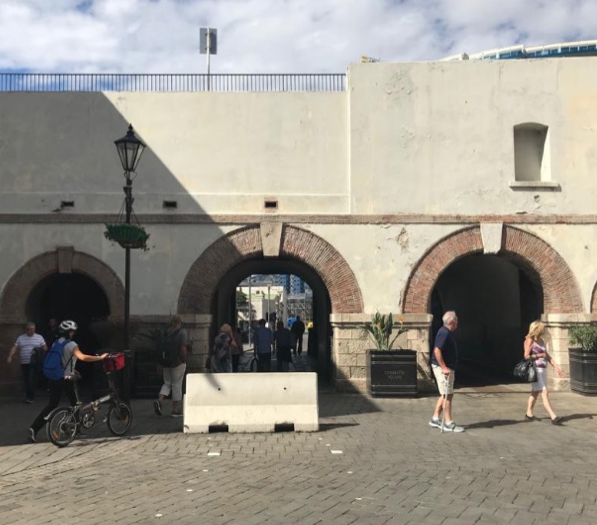 In 1859 a new entrance for pedestrians opened and 25 years later in 1884, Lieutenant General John Adye, Governor of Gibraltar (1883 – 1886), inaugurated a second gate beside the original one to ease traffic into and out of Casemates. Picture 3: 1911 – Oswald Lübeck. 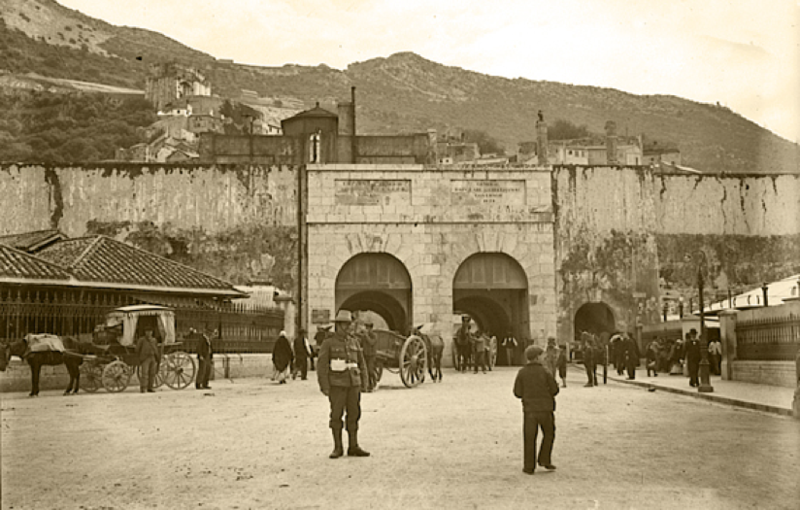 Waterport Gate can be seen in the distance through Grand Casemates Gates. 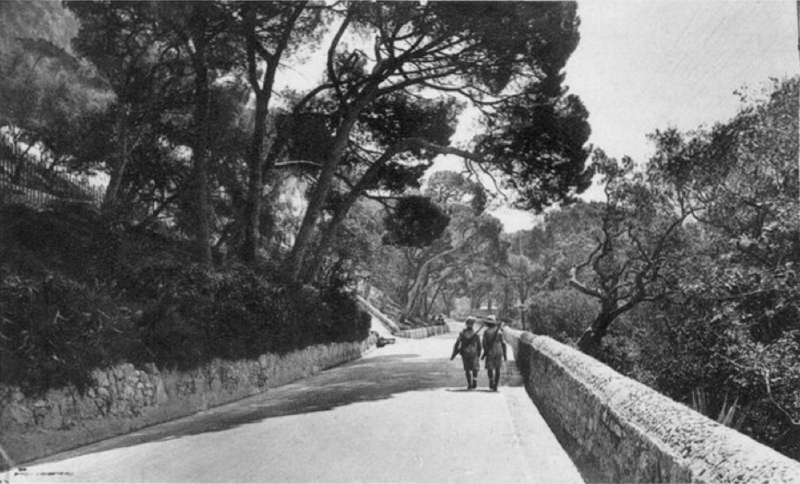 It was later demolished in 1927. 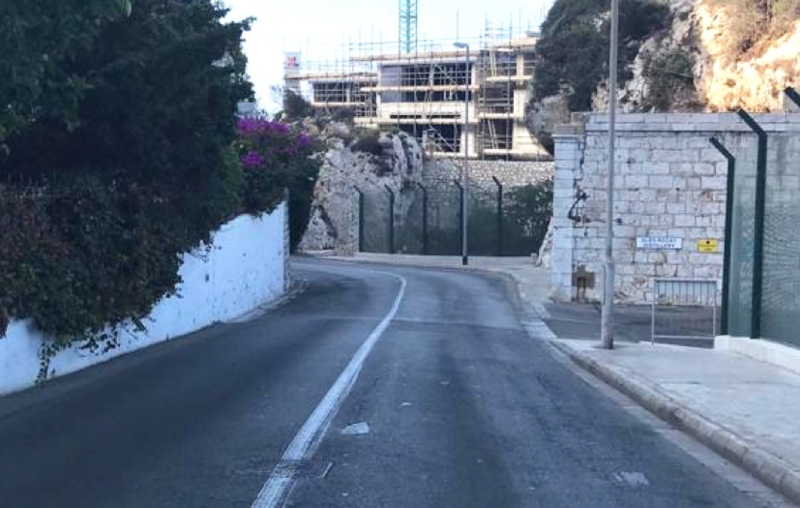 Castle Street, also known as Calle de la Cuesta or more popularly Calle Comedia, is a road that runs to the east of the town, to the north of Flat Bastion Road. 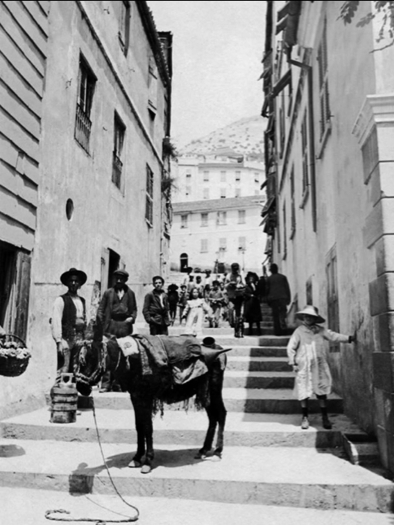 In the 19th century the street had a theatre in what had been a Real Tennis Court which was used for entertainment. This theatre was in use until the Theatre Royal was built at Governor’s Parade. The Cathedral of the Holy Trinity is the cathedral for the Church of England Diocese of Gibraltar in Europe. 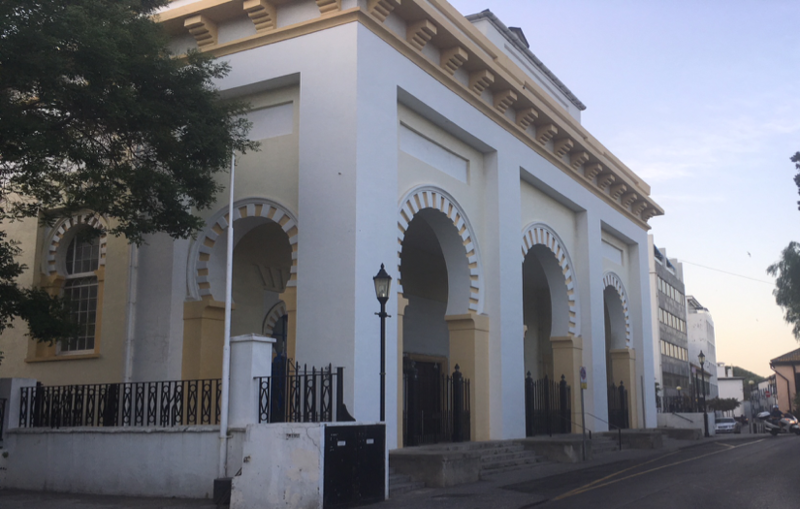 It was originally built to meet the needs of Anglican worshippers among the civil population of Gibraltar, as the King’s Chapel was primarily reserved for military use. 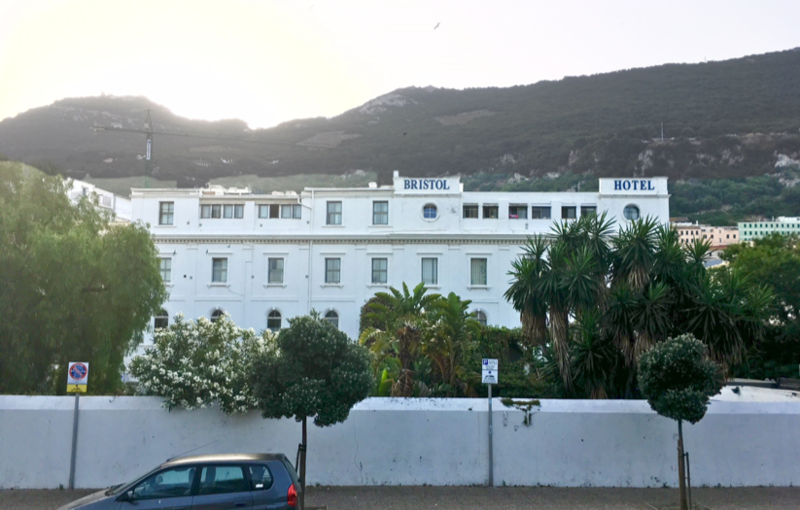 John Pitt, Earl of Chatham, who had arrived as Governor of Gibraltar in 1820, persuaded the British Government to sell a derelict building and use the money to build a church on the land. Building work began in 1825 and the church was completed in 1832. 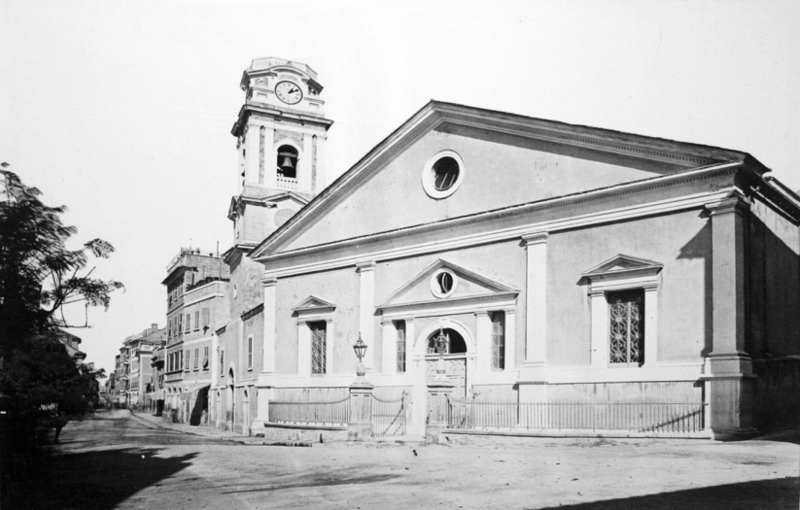 During the building process, the partially completed church had to be used for a short time as an emergency hospital during an epidemic of Yellow Fever. The church was consecrated in 1838 by Archdeacon Edward Burrow in the presence of the Dowager Queen Adelaide, widow of William IV. 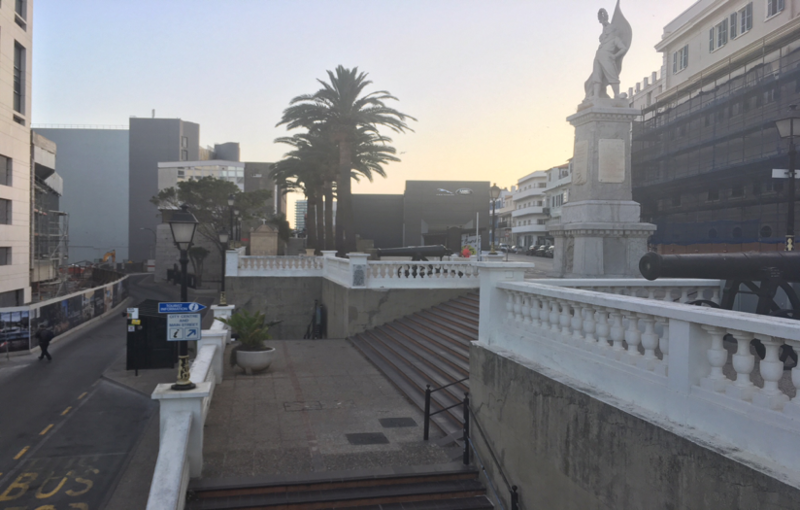 It was raised to cathedral status in 1842, with the creation of the Diocese of Gibraltar at the time of enthronement of George Tomlinson as the first Bishop of Gibraltar in Europe. 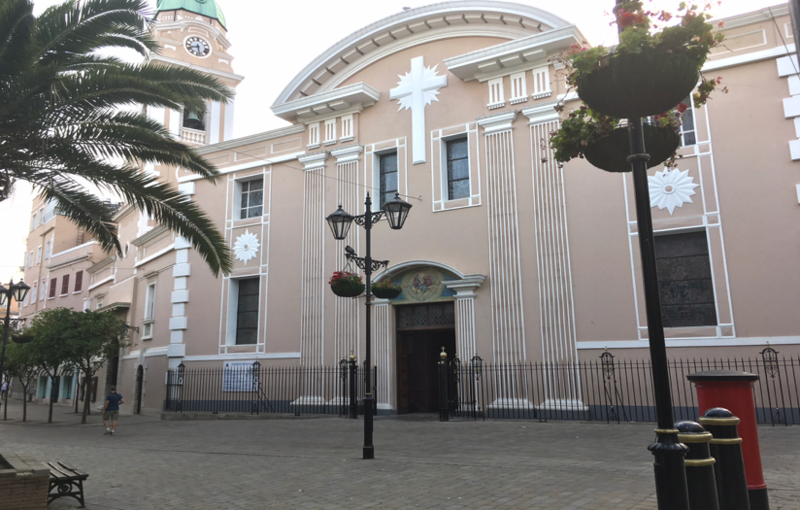 The Cathedral of Saint Mary the Crowned is a Roman Catholic and is the primary centre of Catholic worship in the Diocese of Gibraltar. The original building of the current cathedral was built during the Spanish period. 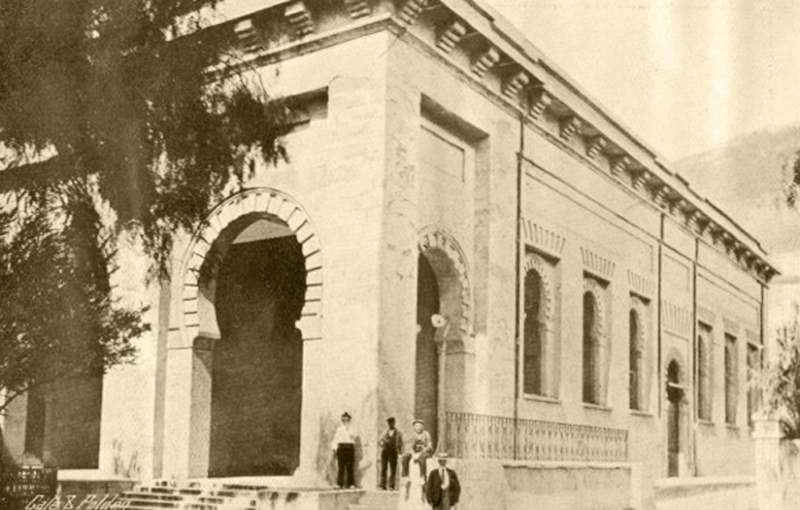 Just after the conquest of the city to the Moors, the main mosque was decreed to be stripped of its Islamic past and consecrated as the parish church (named Santa Maria la Coronada y San Bernardo). However, under the rule of the Catholic Monarchs, the old building was demolished and a new church was erected, in Gothic style. The cathedral’s small courtyard is the remnant of the larger Moorish court of the mosque. 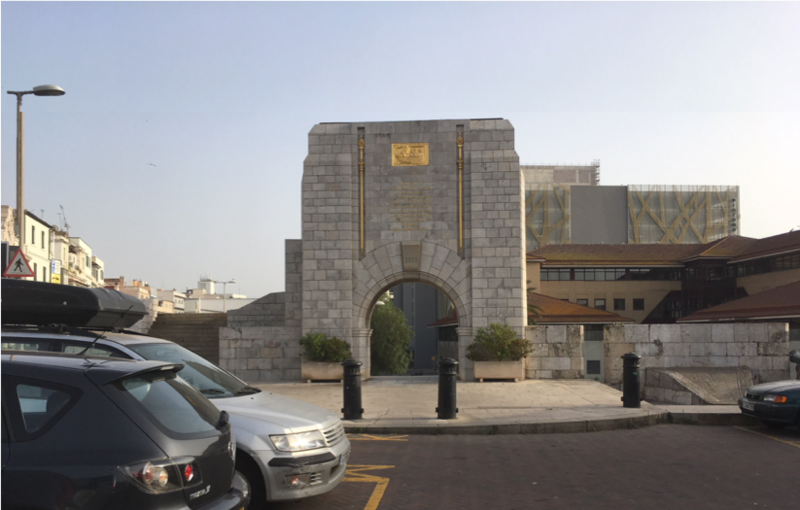 The Catholic Monarchs’ coat of arms was placed in the courtyard where it can still be seen today. The cathedral extended to the opposite side of what is now Main Street. The church of St. Mary the Crowned was the only Catholic church or institution that was not ransacked by the troops that took over the city in 1704. It was successfully protected by its pastor, Juan Romero, his curate, and his bell-ringer. 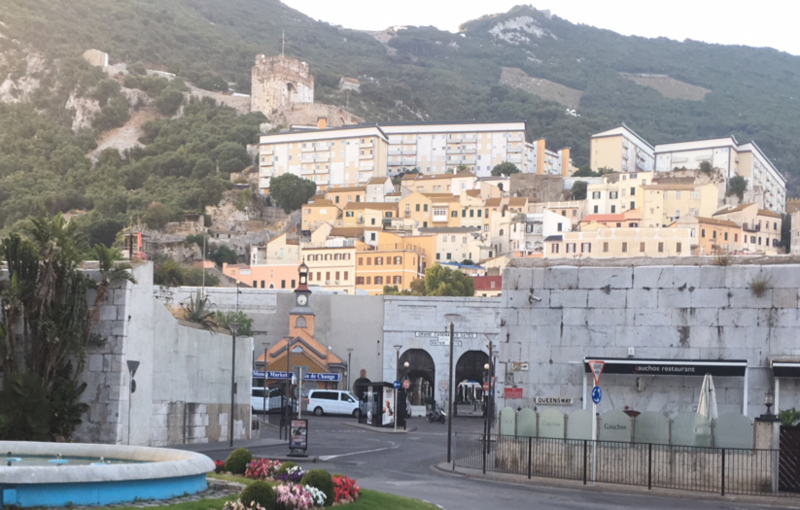 Due to the building being severely damaged during the 1779–1783 Great Siege, in 1790 the then Governor of Gibraltar Sir Robert Boyd offered to rebuild the cathedral in return for part of the land on which the building originally stood in order to re-route Main Street. 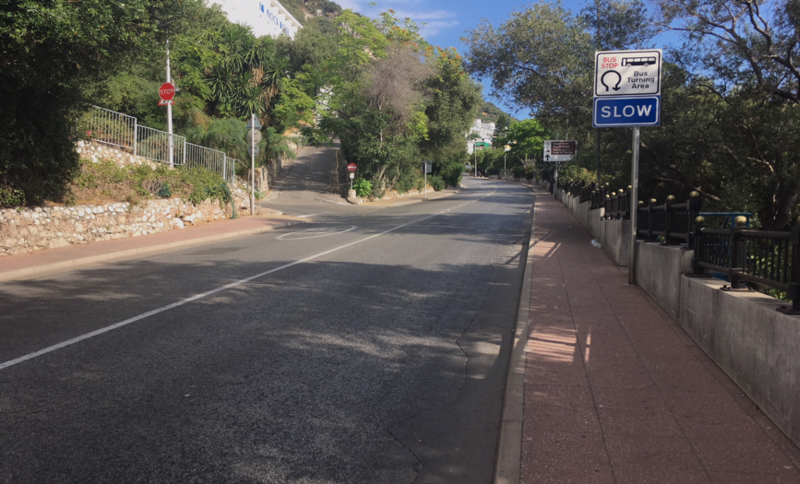 The route was re-modelled in 1801 so that Main Street could be straighter. The reconstruction took place in 1810 and Main Street was widened at this time also. The clock tower was added in 1820 and in 1931 restoration work was carried out on the cathedral and the current west façade erected to replace the poorer one built in 1810. 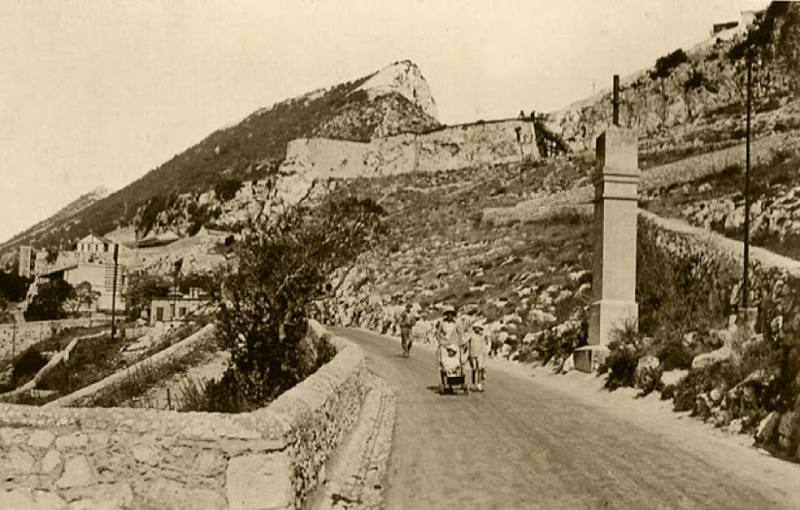 Europa Pass at one time this had gates with a path above, when the gates were removed this was replaced by a wooden bridge, this still allowed access for troops from Buena Vista Barracks up to Europa Pass Battery and up to Windmill Hill via some steps. 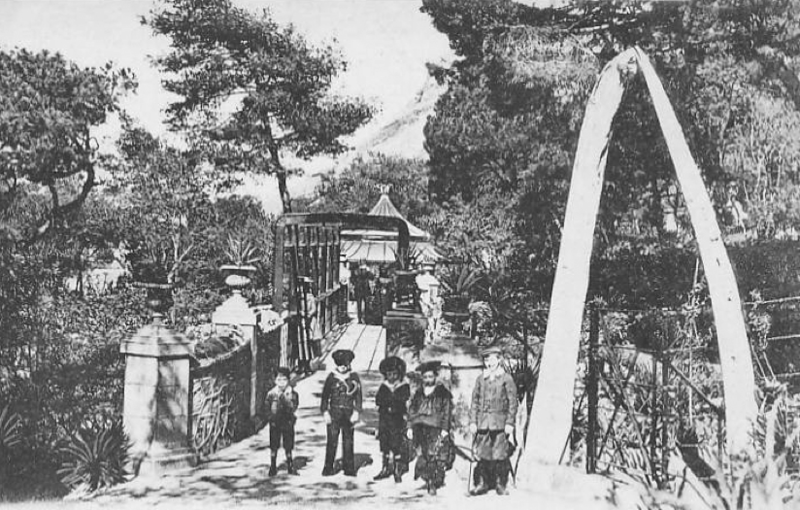 Although the steps are still there the bridge has long gone. 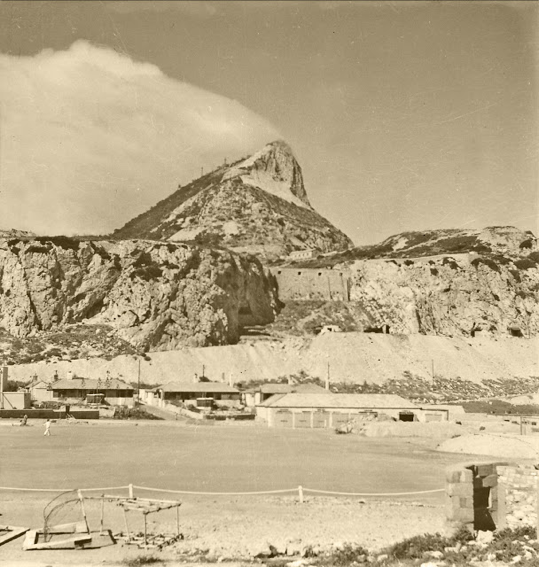 Picture (L): 1908 – Contains public sector information licensed by the Gibraltar National Archives of Her Majesty’s Government of Gibraltar – document reference:Europa Pass.jpg. 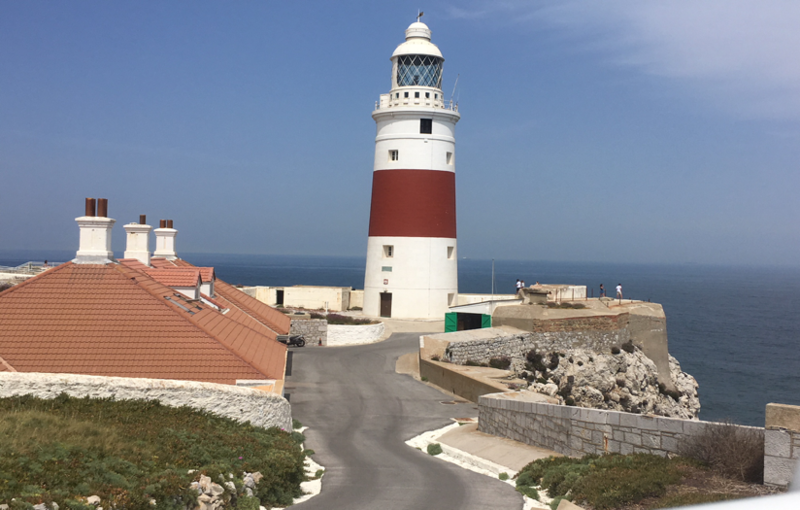 Also known as the Trinity Lighthouse at Europa Point and the Victoria Tower, the Europa Point Lighthouse, of classic British design, first underwent construction in 1838. This foundation-stone of a light-house, erected by order of the colonial government of her Majesty Victoria, Queen of Great Britain and Ireland and their dependencies, in the first year of her reign, was laid on the 26th day of April, A.D. 1838, A.L. 5838, with military and masonic honours, by his Excellency Major-General Sir Alexander Woodford, K.C.B. 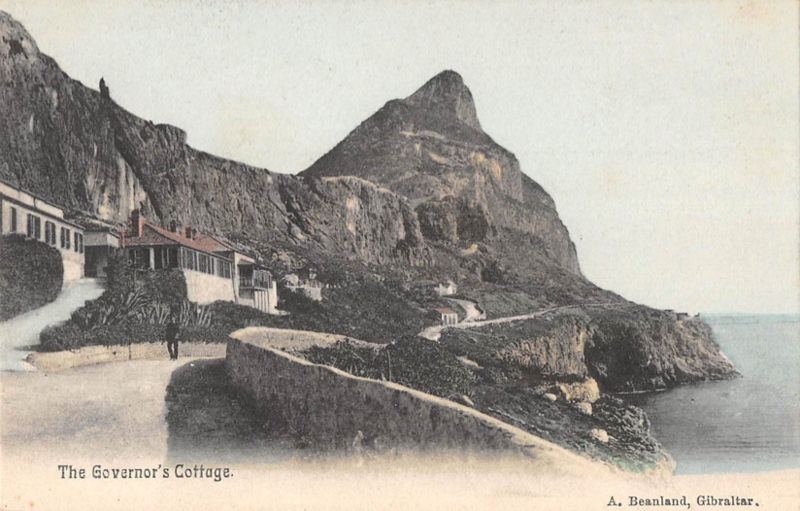 &c. governor and commander-in-chief of the town and garrison of Gibraltar, assisted by the Rev. W. E. T. Burrow, D.D. F.R.S. Provincial Grand Master, for the protection of Mediterranean commerce, the saving of human life, and the honour of the British name. 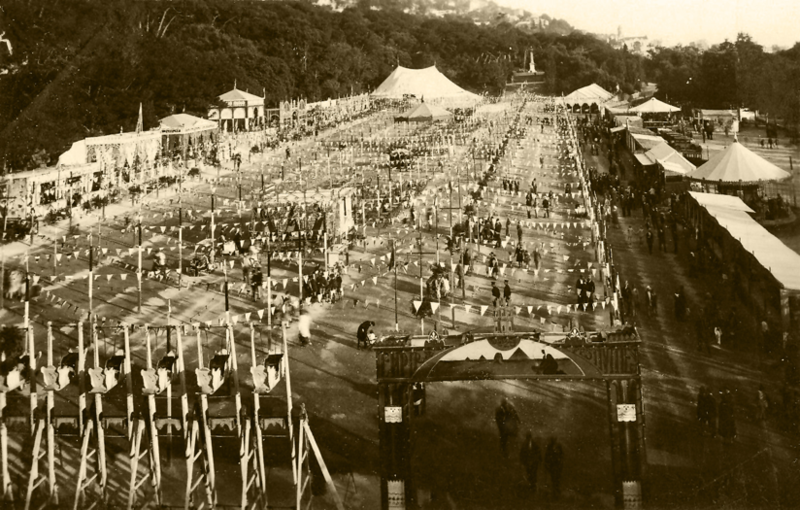 A brief ceremony commemorated the event, which was witnessed by about 10,000 people. 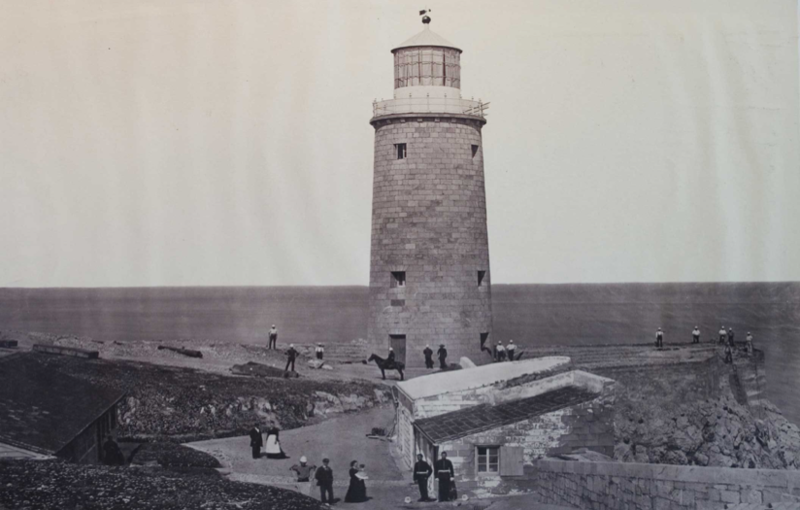 Construction of the lighthouse was completed in 1841, and was inaugurated according to schedule on 1 August that year. 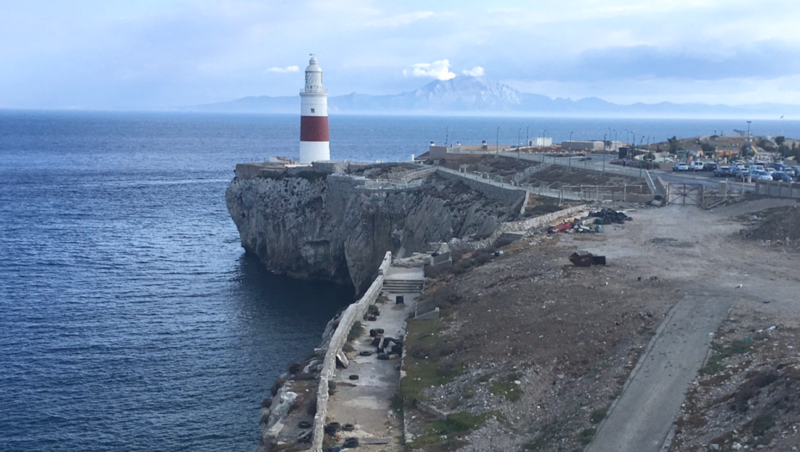 The first lighting of the Europa Point Lighthouse drew an audience of more than 2,000 people.